Our PUBG Mobile Season 5 guide contains the release date, theme, new skins and outfits, and Elite Pass details of the next period of competitive play. 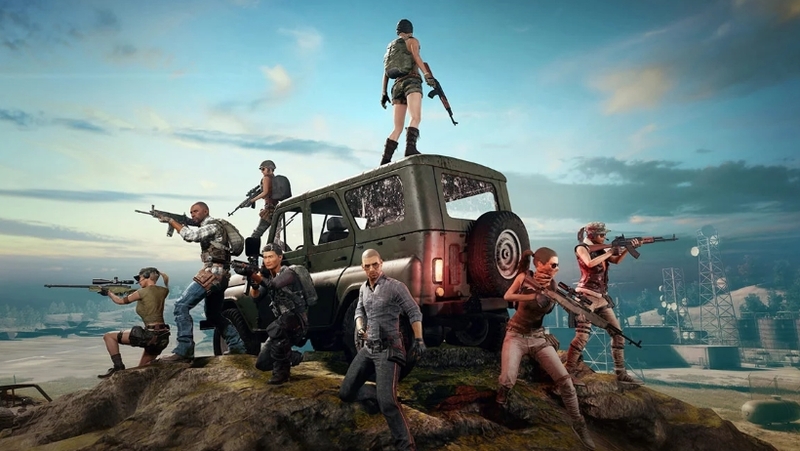 Season 4 of PUBG Mobile has come to a close and ushered in Season 5, bringing with it a tonne of new content for fans of the game on portable devices. Season 5 has brought with it a slew of new content, including fancy outfits, game modes and more to mess around with. In this article we've pulled together everything you need to know about PUBG Mobile's latest Season. We'll make sure to keep this guide updated as more patches are introduced throughout the season. We've enjoyed a decidedly frosty theme to mark the winter season of Season 4, but now things are about to start heating up quite a bit. This time around, Season 5 is taking on somewhat of an apocalyptic/supervillain theme, with the introduction of a rivalry between Team Shadow and Team Force. Some of the images that have been circulating on the internet suggest a fiery apocalypse is on its way to PUBG Mobile, so get ready for some truly hellish gameplay when it goes live next week. It wouldn't be a new season of PUBG mobile without a new collection of weapon skins and player outfits to work towards. Given the development team's previous attempts to tie the new cosmetic items to the current theme, you can expect a few items designed around the infernal apocalypse we've already outlined. As far as weapons are concerned, there's a bunch of new skins for many of the weapons in the game. Vehicles like the Dacia have also received cosmetics too. Season 5 has introduced a brand new Battle Pass, stuffed to the brim with weekly and daily missions that you can complete in order to rank up. By doing so, you'll unlock plenty of goodies as you climb through the ranks. As with previous seasons, expect a free pass with limited rewards, and an Elite Pass / Elite Pass Plus which will contain increasingly tempting rewards. That's everything that's been leaked so far about the new season. We'll have another update for our PUBG Mobile Season 5 guide as soon as official information starts trickling through. Check back soon for more details.